Following a Dane County Circuit ruling, Governor Walker recently called special elections in the 1st Senate District and 42nd Assembly District to take place on June 12. In late March, Dane County Circuit Court Judge Josann Reynolds ruled Walker must call special elections in the legislative districts. Both seats have been vacant since December when former Senator Frank Lasee and former Representative Keith Ripp both resigned from the legislature to take positions in the administration. Following their departure, residents in those districts, with the help of an organization headed by former U.S. Attorney General Eric Holder, filed a suit against Walker to hold special elections. Walker determined in December to allow both seats to remain vacant and be filled during the regularly scheduled general election in November. After the ruling, Senate Majority Leader Scott Fitzgerald and Assembly Speaker Robin Vos indicated they were exploring options to pass legislation that would effectively block the ruling. The Assembly went so far as to actually hold a public hearing on the plan. However, after failing to support, the legislature announced they would not be back in session to take up the bill. 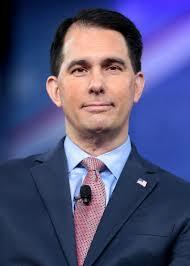 Following the decision not to take up a bill, Walker called the special elections. In the 1st Senate District, State Representative Andre Jacque will face off in the Republican primary against Green Bay resident and factory manager Alex Renard. Both candidates have endorsements from Republican state legislators. The victor of the primary will face Democrat Caleb Frostman, who currently serves as Executive Director of the Door County Economic Development Corporation. In the 42nd Assembly District, Republican Jon Plumer will face Democrat Ann Groves Lloyd. Both candidates are from Lodi in Columbia County. State Democratic leaders believe their party has a good chance to pick up one or both seats, which have previously been held by Republicans. If Democrats win the 1st Senate District, the State Senate will be at a tight 18-15 Republican majority, meaning Democrats only need to pick up two seats in November to flip the majority. However, the winners of June’s elections will need to be reelected in November.